Heading into this Premier League gameweek 27 I have many decisions and choices to make for my Fantasy Premier League team. For this season I have created two FPL teams to tinker with. One was meant to be my primary team and the other was supposed to be experimental. So far they have done relatively well this season. My experimental team did well enough to be within the top 90,000 in the world at one point. Then I started doing a little too much experimentation and dropped. Still, I’m not doing terribly with one team in the top 300,000 world wide and the other ranked just over 600,000. With all of that said, this weekend looks like it’s really going to test my decision making as well as ranking. In my haste to complete several posts for the blog, deal with various stresses from work, and fill out several fantasy team sheets, I completely forgot to look ahead to this weekend. The important thing to note about this weekend is that Chelsea, Leicester City, Queens Park Rangers, and Tottenham Hotspur all have the weekend off for Premier League matches. What this means for fantasy Premier League managers is that you shouldn’t have any of these players in your starting lineups. Unless, of course, you are like me and you completely forgot about this and already have more than half your team from either Spurs or Chelsea. That is my current situation. Instead of utilizing having two teams to mess around with, I began moving more and more towards having nearly identical teams. Now I’m stuck with having a team filled with Fabregas, Hazard, Cuardado, Chadli, Eriksen, and Kane. In addition I’m stuck with a doubtful Saido Berahino. I can take the points hit and transfer some of these players out, or I can just sit tight and hope to recoup points in next week’s contest, which includes two Tottenham matches. QPR is another team that will have a double match week for gameweek 28, so keep that in mind when making your team for this gameweek 27. For this weekend there are some key match-ups to look at in squeezing out some key points for your team. Burnley v Swansea is a match that looks good for FPL managers, particularly in terms of picking Burnley players. Stoke v Hull City and Newcastle v Aston Villa also look like decent match-ups that should have goals for all teams involved. I am still loathe to recommend picking any Manchester United players, but facing off against a toothless Sunderland team means there should be some points to be had. This weekend’s set of matches have plenty of options across every game where you should be able to pick up points. I would say that there are a number of opportunities to get points, especially from some of the mid-table teams. For this weekend I’m planning to use my two transfers for both teams and do the best I can to salvage this team by getting rid of some Chelsea players. If it works out that I’m down to ten men playing, then so be it. I’m planning to keep my Tottenham players and prepare for the double match week come gameweek 28. 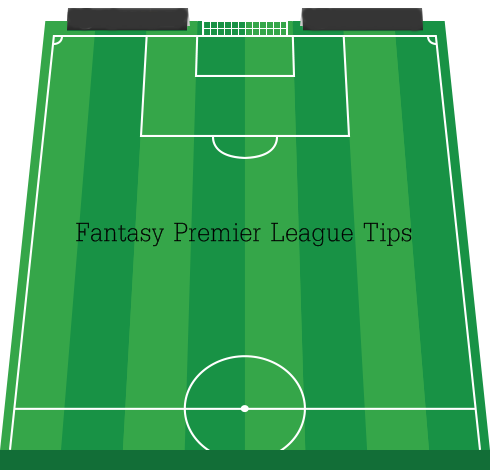 You can also check out my fantasy Premier League player rankings for this week and be sure to hit me up on twitter!